GALION — Cindy Voss is ready for a new challenge. The last day for Galion City School’s Primary School principal is July 31. Once she cleans her desk and says her goodbyes in Galion, Voss will become principal at Hannah Crawford Elementary School in North Robinson. Voss wasn’t actively looking for a job, but when the principal’s job at Colonel Crawford came up, she was ready. But the decision to leave was not easy. 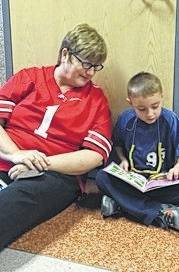 For 10 years, Voss has worked with Galion students in kindergarten through second grade. Once she heads for North Robinson, she will be responsible for students in kindergarten through fifth grade. “That’s one of the things I missed when I became primary school principal. I missed not having a longer time to get to know the kids and their families,” she said. She’s anxious to work again with fourth- and fifth-graders. “Another thing, after we moved to the new school, we didn’t have the older kids around to set an example for the younger kids in the building,” Voss said. Kent has worked for Galion City Schools for 16 years. Prior to that, she ran the preschool program for Crestline Village Exempted Schools. 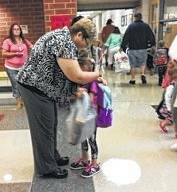 She was principal at Wilma Crall Elementary School in Galion when it shut its doors. She also was principal at Dawsett Elementary School when it closed a few years later. Galion shut down Dawsett, Renschville and North Elementary schools, Galion Middle School and Galion High School when the district made the move to the new campus off Ohio 598. Voss said her first day in the Galion district was Sept. 10, 2001, the day before terrorists attacked the United States. Six years later she moved to the new Galion campus. And so was the weather … inside her office. There were other hurdles, too. Voss has lots of great memories of her years in Galion, but when thinking about her proudest moments she looks to the school;s recent implementation of the Leader in Me program and the moment her school was awarded a statewide award. 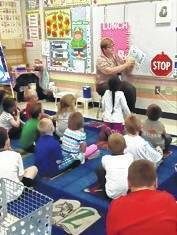 Galion Primary School was one of the first in the state to earn an All A Award from the Ohio State Board of Education. It recognizes schools that have received A’s on every aspect of school performance measured on Ohio’s school report card. Also this year, the school was asked to give a presentation at a statewide conference about some of the things that led to success at the school. Voss also talked of a lot of the special events her students took part in: field trips, a human flag, holiday parties, collecting for the MOMs group to send to soldiers, Reading Counts pizza parties. She said because her staff and teachers were willing to do what needed to be done to make sure students were successful, her job was easier than it could have been. “The primary school staff is the most dedicated, most compassionate I have worked with. They are willing to do whatever is needed to make their students successful.” Voss said. That effort includes working with and challenging students on both ends of the grading spectrum. Those are the memories that Voss will carry with her forever.